Governor Abiola Ajimobi has commissioned FrieslandCampina WAMCO Nigeria PLC, fifth milk collection facility for dairy farmers in Saki, Oyo State. Speaking at the occasion, the Managing Director, FrieslandCampina WAMCO, Mr. Ben Langat, pointed out that the event was a proof of the company’s commitment to strengthening local milk production capacity in Nigeria. 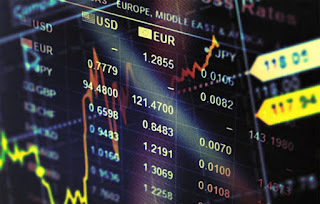 In a statement issued by the company’s Corporate Affairs Director, Mrs. Ore Famurewa, said, “Since 2011, FrieslandCampina WAMCO has been investing in the Dairy Development Programme (DDP) and has established the country’s largest milk collection network. Today, the company collects milk from about 1700 farmers in over 70 communities in Oyo State, who as a result receive good remuneration directly from the company. Whether it is prescribed or bought over the counter, drugs is critical to health care worldwide. Whether we take it for a simple headache or much more demanding conditions such as high blood pressure, we expect it to work, especially if it is recommended by the doctor or pharmacist. Drug business is a multi-billion dollar industry and, many could not have survived illness without them. A patient takes his drugs religiously because; ‘It is the doctor’s order’ – so, there is an element of credibility attached to it. Many would hardly disobey the instructions of their personal physician. 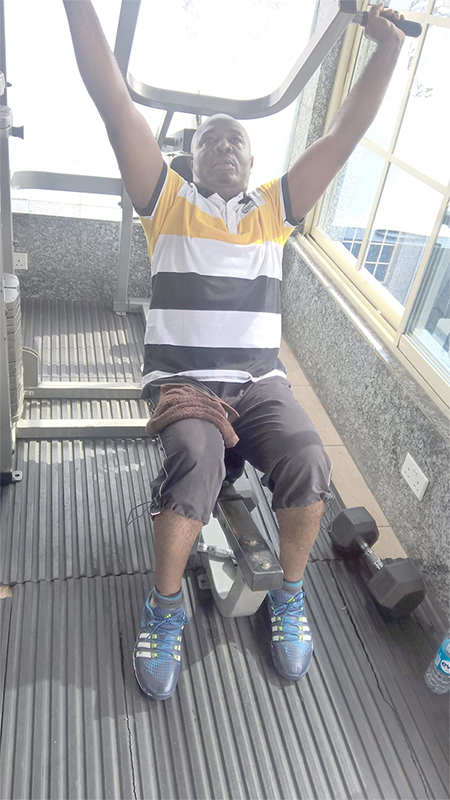 We are used to having our doctor prescribe one drug or another, but if the same doctor prescribes exercise regiment rather than usual medication, would you take it? Well, this remains a big question begging for an answer. The essence of this programme is two fronts; first, to encourage doctors to prescribe exercise for their patients, and secondly, to encourage the public to incorporate physical activity or exercise into their daily lives. In the press release, the result of the survey by the American College of Sports Medicine (ACSM) revealed that nearly two-thirds of patients would be motivated to exercise if advised by their doctor and given additional resources. This survey revealed two important facts on exercise. First, ACSM recognised that exercise can curve the precipitant dependence for medicine by all groups of the society. 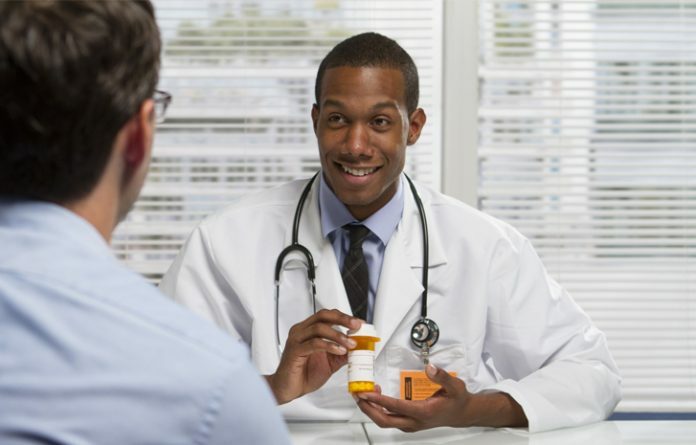 This means that rather than walking into your doctor’s office and expect him to write you prescription for some drugs, he or she would have chosen the alternative. The second entail that over 40 million people in America who are overweight and obese would be informed that they must engage in some type of exercise. Exciting indeed! Moreover, this fact would be driven home to many young men and women who walk about with over 38-inch waist as if a large waist is evidence of good living. Imagine if the doctors in Nigeria will follow such directive, the effect would be quite obvious. We would have a nation with a healthy work force. So if you happen to be among the lucky ones that a doctor prescribed an exercise regiment, be sure to take the full dosage, because it is a lifestyle. Data on pregnancies resulting from frozen eggs is mixed. A small review of egg-thawing data found that 414 eggs thawed in 2013 resulted in 99 live births, meaning that slightly fewer than one in four cases were successful. This suggests that women may need to undergo multiple IVF cycles to become pregnant. How Long Will Frozen Eggs Last? Freezing an egg stops it from aging. A frozen egg that is a few years old will typically be healthier than a fresh egg from an older woman. Most studies on frozen eggs looked at eggs that were just a few months old. It remains unclear how long eggs can safely be frozen. Most researchers suggest that a woman should freeze her eggs when she is in her mid-to-late 20s, for use in her 30s. Women who are considering IVF in the future should not delay any longer than necessary. According to the University of Southern California’s fertility clinic, about 75 per cent of eggs survive the thawing process. Embryos are more likely to survive both freezing and thawing than eggs, and they are more likely to result in a successful pregnancy. If a woman has a partner, or if she intends to use donor sperm, she should consider freezing embryos rather than just eggs. Who Should Consider Freezing Their Eggs? Younger women have significantly higher egg-freezing success rates than older women do. Women who wish to have their eggs frozen should do so as early as possible. Most clinics work with women under 40 years old. Some clinics place restrictions on women in their 40s, and few will allow women over the age of 45 to freeze their eggs. There are no guarantees that frozen eggs will lead to a live birth. The chance of each frozen egg leading to a live birth is between 2 and 12 percent. Factors such as uterine health, age, and overall health affect a woman’s chance of becoming pregnant. • Career and educational plans: Women who wish to pursue advanced degrees or demanding careers may freeze their eggs when they are young to ensure access to healthy eggs when they are older. • Romantic delays: Women who want to have a child with a partner, but who have not yet found one, may freeze their eggs for future use. • Cancer: Chemotherapy and other cancer treatments typically destroy fertility. Reproductive cancers might mean a woman’s ovaries are removed. • Infections, organ failure, and other health concerns: A wide range of health problems can harm egg quality. Freezing eggs offers future hope to a woman who is receiving treatment for a serious illness that may reduce fertility. The National Agency for Food, Drug Administration and Control (NAFDAC) said it has waived 50 per cent on registration fee for locally manufactured products to promote Small and Medium Scale Enterprises (SMEs). 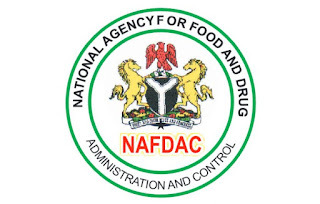 The NAFDAC spokesperson, Dr Abubakar Jimoh, said that the measure would go a long way to promote economic development. Jimoh explained that it was a new policy of the agency under the leadership of its acting Director-General, Mrs Yetunde Oni. He said that the measure was in response to Federal Government’s policy to promote locally manufactured companies in order to boost the economy of the country. Jimoh said that in the past, a lot of people and some licensed consultants had extorted money from innocent Nigerians in the name of NAFDAC registration. “Sometime back, we discovered that a lot of people were extorting money from Nigerians for registration fee of products. We decided to license some consultants who are professionals. “But those unscrupulous elements fizzled into the consultancy firm that registered with us and continued their extortion from potential entrepreneurs. 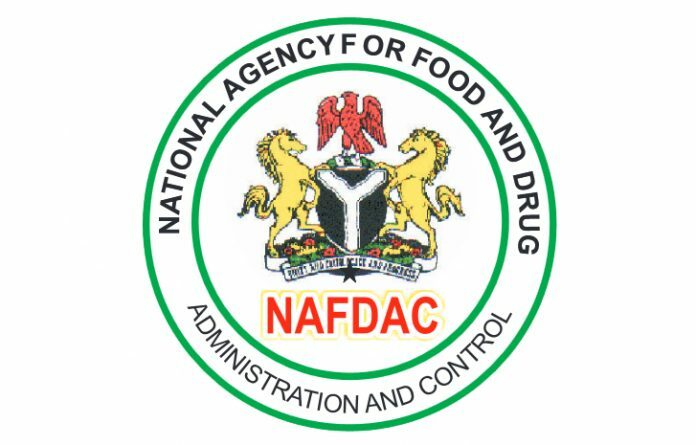 “They collect as much N250,000 to N300,000 for registration of less than N50,000, claiming that part of the money will be used to settle NAFDAC officials. “The agency has taken decision to stop them after the expiration of their licenses; we will stop them and deal directly with intending manufacturers,” he said. Jimoh explained that in the last seven years, the former NAFDAC director-general, Dr Paul Ohi, introduced a policy that all young graduates willing to establish businesses would be given waiver. He said that the policy was still in existence but young graduates from NYSC were not taking such advantage. The spokesperson noted that NAFDAC recently established a Small Business Desk to guide people going into SMEs on how to set up their small factories. 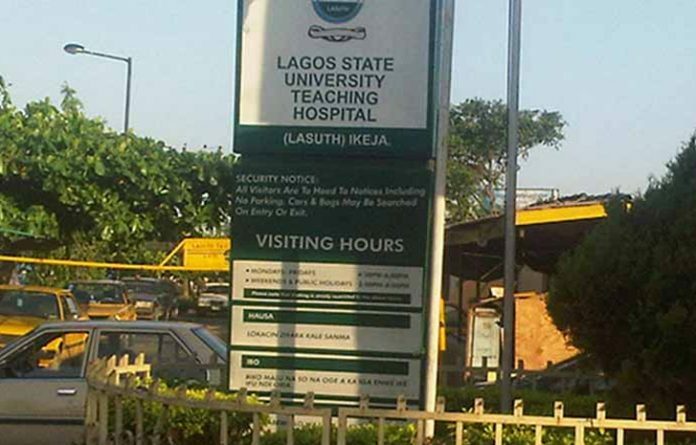 The Lagos State University Teaching Hospital (LASUTH), Ikeja, received some sets of Intensive Care Unit (ICU) equipment from faith-based organisation (FBO) the Redeemed Christian Church of God (RCCG), Apapa Family, weekend. The FBO had also refurbished and equipped the ICU in the Surgical Emergency section of the hospital. “Employing more personnel will help a lot in discipline; when workers are stressed or over worked, there is this human tendency to do some things they ought not to do, “ he said. The Molecular Biology and Biotechnology Department of Nigeria Institute of Medical Research (NIMR) will be holding its seventh annual Molecular Biology Hands-on-Training workshop. 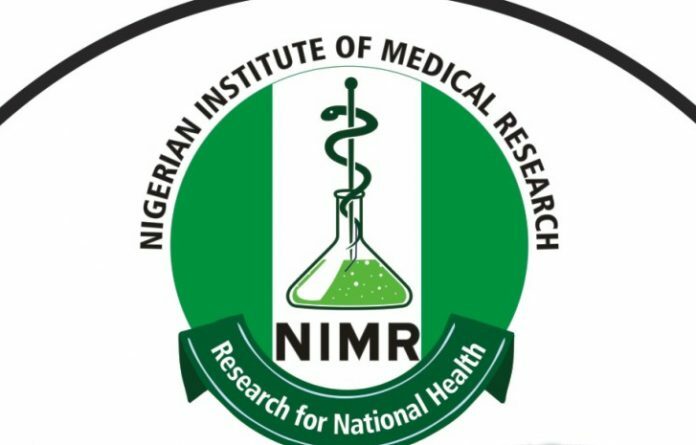 This year’s Molecular Biology Hand-on-training workshop with the theme: “Protein Expression” will be a one-week event from August 7 to 11 at NIMR Conference room, Yaba, Lagos. A statement on weekend, signed by Dr. SteIla Smith, the Workshop Coordinator, listed areas which the conference will focus on during the five-day Hands-on-Training workshop including, current methods in molecular biology and ethical issues of challenges in genetic research. Other areas which the conference will cover include: Molecular evolution of viruses of public health importance – from Genomics to Proteomics; Introduction and principles of SDS-PAGE and Basic protein interaction techniques. There will also be practical sessions on PCR, SDS-PAGE and Western Blotting, the statement said. The themes for the previous years are: ‘Molecular Biology: The Backbone of Evidence-based Medicine’ (2010); ‘Role of Molecular Biology and Biotechnology in Research and Development’ (2011). Others are: ‘Emerging Infectious Diseases: Combating multi-drug resistance using molecular biology approach’ (2012); The Importance of Molecular Biology Typing Techniques in Disease Mapping’ (2013) and ‘Practical Applications of Genetic Markers’ (2014). The idea of MBBT hands-on-training workshop was first muted informally in 2007/2008. In 2009, a total of 48 participants were in attendance, with 2010, recording 40 participants. In 2011 and 2012, 12 and 14 participants respectively attended the workshop. In 2013, a total of 36 participants were in attendance and in 2014, 16 participants were in attendance. Over the years a total of 166 participants have attended the hands-on-training workshop that had its spread across the six geopolitical zones. The first two years witnessed guest speaker such as Prof. Bamidele Solomon (former DG, NABDA) and Dr. Ejifome, former member of NIMR Board) who chaired the workshop opening ceremony. 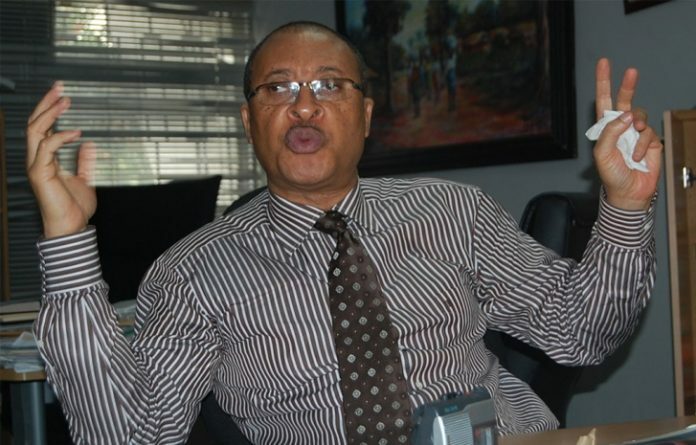 Ughelli – A developmental economist, Prof. Pat Utomi has said that the rate of cancer will increase in the Niger Delta region in the near future, unless the current rate of gas flaring is checked to stop the degradation of the environment. Prof. Utomi noted that a healthy environment is a heritage from our fathers, but sadly we may not be able to bequeath same to our children because of activities of oil majors and our poor attitude to environmental issues. Presenting his keynote address at the second mid-year national conference of the Isoko Development Union (IDU) women’s wing weekend, with a theme; “Building Healthy People and Healthy Planet,” he stated that history will not treat us kindly if we fail to show concern about the environment. While advocating for women empowerment through proper education, he said that this enable them to take actions that will mitigate environmental challenges in future. According to him, women are closer to the environment as caregivers. He explained that the starting point in escaping from poverty is proper education for our children and women, stressing that women are very important factor in the education of the children, especially in their moral upbringing. On his youth empowerment programme, he noted that many youths leave school certificated, but lack the skill and workplace attitude. He explained that the ‘Center for Value in Leadership’ emerged to fill this gap by equipping youths with the needed skills to become wealth creator through self mastering. Earlier, in her welcome address, the President of IDU, Amb. (Mrs.) Caroline Usikpedo-Omoniye canvassed for social inclusion of women and 50/50 affirmative action on women participation in governance, noting that if implemented, it will boost development and also empower the womenfolk. 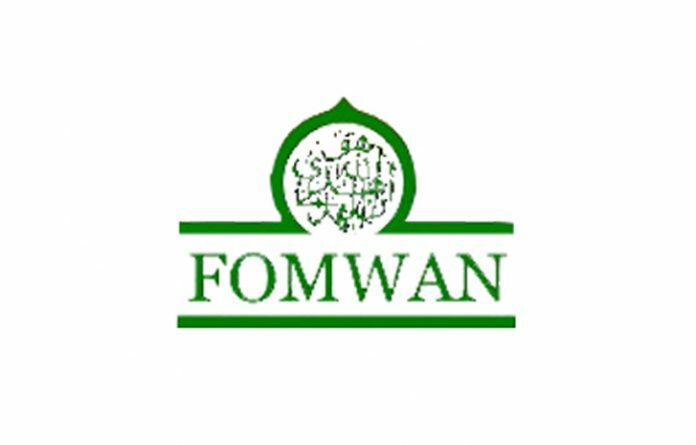 Muslim community of Lagos State weekend, assured their full support to work with Federation of Muslim Women’s Association in Nigeria (FOMWAN) in collaboration with Partnership for Advocacy in Child and Family Health Project. This group made this pledge during a courtesy call by FOMWAN/PACFaH to Central Mosque in Lagos Island soliciting the Muslim community’s support in pressurising the government to get committed in the four critical areas of child health which the FOMWAN/PACFaH’s advocacy is focused. The areas include, proper management of childhood pneumonia and diarrhoea, routine immunization, nutrition and child spacing by increasing the budget to address them. 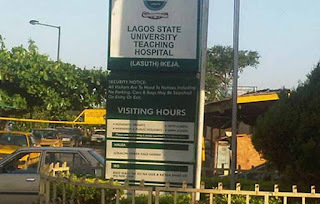 Hajia Adama Kachalla, the Programme Officer, while speaking at the event also wants the Chairman of the Muslim Community of Lagos State to educate his followers on the treatment of pneumonia and diarrhoea for under-five children in accordance with the government’s guideline which is adoption and listing of Amoxicillin DT as the first line drug. Alhaji Fatimoh Balogun, Chairman of Muslim Community of Lagos State, expressed joy over the visit saying: “I am extremely delighted with your advocacy along with FOMWAN and other agencies. It is fantastic and I assure you that you are actually carrying out part of the duties of Muslim Community of Lagos State under health and social welfare. You are helping us to carry out our programme, why won’t we support you?” he rhetorically asked. Commenting further he said: “We will give you all the necessary support as we reckon the public health areas that you are tackling – management of pneumonia and diarrhoea to be very important. “This is because we know these diseases are great killers in our community based on our statistics. Also, we have programmes for routine immunisation, we have been visiting communities and donating vaccines for immunising their children, a way of helping the government, government cannot do it all. “Then on nutrition, the enlightenment in this area is very important, so also child spacing which is family planning,” he noted. As a seal to their support, he gave out some action plans which he drew to support FOMWAN/PACFaH’s advocacy. “We need to formally write a comprehensive paper on this. We will go with you to the Commissioner for Health as representative of Muslim Community of Lagos State and other agencies of the coalition to make a formal presentation of the paper to the government. We will also present the comprehensive paper of our action plan to the Commissioner for Home Affairs and equally highlight the need for budget allocation to child health. He however, emphasised on public enlightenment, saying that even when enough money is budgeted and released on those key areas that the public needs to be educated on the importance of immunisation, child spacing and others. “Even if they devote 100 per cent of the budget to health, it is how this money is being spent that matters. For example, in the North sometime ago, vaccines were bought and people refused to take their children to get vaccinated out of ignorance. But, if they understand the importance of immunisation, that it’s for their own good, they will collaborate and cooperate with us. “I am going to suggest also that we have flyers that will highlight the importance of these four factors that are great killers here. The flyers will be distributed to the Muslim organisations,” he said. Alhaji Balogun also pledged that members of the Muslims Community of Lagos State along with its health and social welfare committee are going to collaborate to ensure that the comprehensive paper with action plans will be executed. 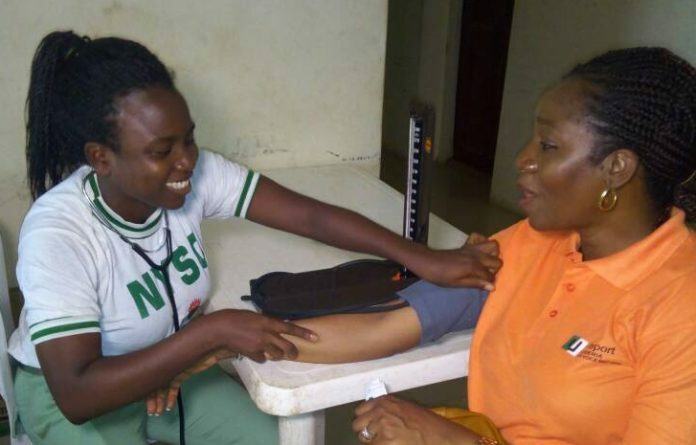 The Ogun State Government has vowed to intensify efforts on policies and programmes that would enhance family planning services to further reduce the maternal and child mortality rate in the state. Dr. Ipaye in a statement made available by the Media Officer of the Advocacy Group, Mrs. Waliyat Odemakin, said all aspects of reproductive health including access to quality family planning had been incorporated in the ‘Araya’ Health Insurance Scheme which was made free for pregnant women and children under five years in the state. The Commissioner assured that necessary process required for the operationalization of the National Task shifting / sharing policy in the state would be fast-tracked to address the challenges of lack of skilled health personnel and equitable distribution of qualified health care workers to health facilities for efficient service delivery. “Though fund spent on family planning services are inadequate but the state government will gear more efforts to ensure that we promote policies and programmes on family planning to improve maternal and child health care in the state”. That is more reason why the state government had incorporated access to free family planning services, Ante-natal, post Natal care for the pregnant mothers and under five children to benefit maximally from the “Araya” health insurance scheme”. Ipaye said. The Commissioner who noted that his ministry would consistently monitor the activities of private health facilities on family planning services against quackery, saying government would not hesitate to sanction erring health worker found guilty of sabotaging state government efforts on its efficient health care delivery cardinal programme. In his remark, the Associate Director, Pathfinder International, Nigeria, Dr. Habeeb Salami, said the organisation was passionate to strengthening and sustaining advocacy activities at ensuring uptake and access to quality family planning services for the state to achieve the Contraceptive Prevalence Rate (CPR) target of 52.4% by 2018. Contributing, the chairman, AWG, Ogun State Chapter, Mrs. Kemi Balogun said the group came on board to drive the implementation of family planning activities with the view of changing the landscape of family planning in the state. “This group is concerned on the rate at which our women and children are dying as a result of pregnancy related complications which can be prevented by uptake and access to family planning services and we have put in place advocacy strategies to assist government, relevant stakeholders and the people at improving the well being of women, children and the family are also in places.” Balogun stated. Pharmacists under the aegis of Pharmaceutical Society of Nigeria (PSN) have hailed the Federal Government on the recent Executive Order on support for local content in public procurement. Acting President, Prof. Yemi Osinbajo had on May 18, 2017, signed the Executive Order, which mandated all Ministries, Departments and Agencies (MDAs) of government to give preference to local goods and services in their procurement activities. The order also directed that made-in-Nigeria products should be given preference in the procurement of relevant items as it stipulated that 40 per cent of spending by the MDAs must be expended on locally manufactured goods and services. A statement jointly signed by Pharm. Ahmed Yakasai, PSN President and Pharm Gbolagade Iyiola, PSN National Secretary, which was made available to Independent, noted that the federal government deserves commendation for deeming it fit to include locally manufactured medicines in the Executive Order as specified in its Section 4F of the order. This move will surely give a boost to pharmaceutical industry in Nigeria by guaranteeing adequate medicines supply for our local needs as well as export that will earn foreign currency for the economy, the statement added. 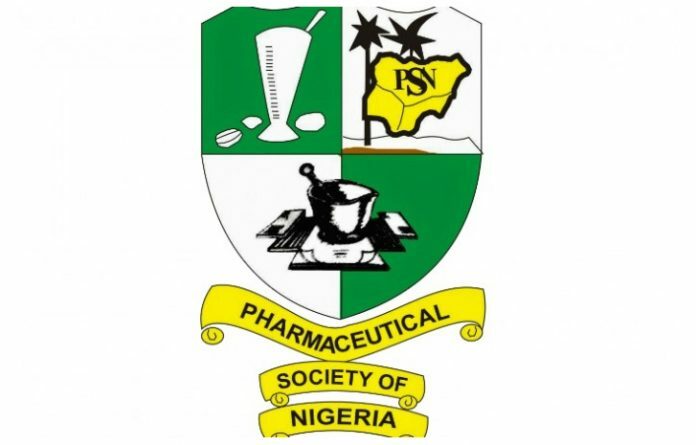 PSN urged the players in the pharmaceutical companies to exploit this window of opportunity with all seriousness. However, PSN urged government to operate this policy thrust with sincerity of purpose by ensuring that companies are paid promptly by MDAs after they make supplies to them. Recently, government parastatals had been frustrating transactions between them and private players with huge burden of debts for supplies coupled with bureaucracy and corruption endemic in the system when payments are to be made, it noted. PSN further called for a boost in the operating environments for the pharmaceutical industry. According to the body of pharmacists, the operating environments need to be made more conducive with improvement in infrastructure, cheap loan facilities and a regime of tax holidays as we have been canvassing all along. The group also pledged her continued commitment towards the realisation of sustainable access to affordable and quality medicines to Nigerians. 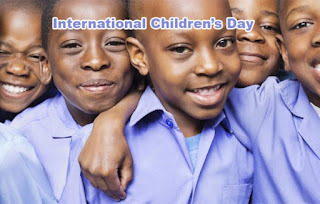 History was made over the weekend, when a 57-year-old mother, Mrs. Folashade Akiode was honoured during the Nordica Bon Bon family fiesta held to mark this year’s International Children’s Day for breaking all medical rules of menopause and having her set of triplets seven years ago. Mrs. Akiode who retired from the Lagos State Civil Service as Director of Service, but now doing her own business was married for 18 years before she had In Vitro Fertilization (IVF) at Nordica fertility Clinic, delivering a set of triplet. Making the presentation of N50,000 to Mrs. Akiode, Dr Abayomi Ajayi, Managing Director, Nordica Fertility nationwide told journalists that the event which held in Lagos, was organised by Fertility Awareness Advocacy Initiative (FAAI) with collaboration from Nordica Fertility to celebrate children born through IVF. Dr Ajayi also said that the main objective of NORDICA is to complete families, noting that age is not a barrier to achieving pregnancy through IVF. On the major challenge of fertility experts following the recession, Dr Ajayi said that power supply poses a challenge as fertility treatment industry are dependent on generators to do business. However, he acknowledged that there’s a limit to which fertility treatment centres can increase price. He however called on the federal government for intervention and to help see that there are no quacks in the system, so that people who pay for the service can get value for their money, saying that when there are quacks those who think IVF is expensive will start patronising them. Another family of Olayemi Sofunlayo who had six children through IVF were also awarded N100,000 for emerging the largest family from Nordica Fertility Centre during the occasion. 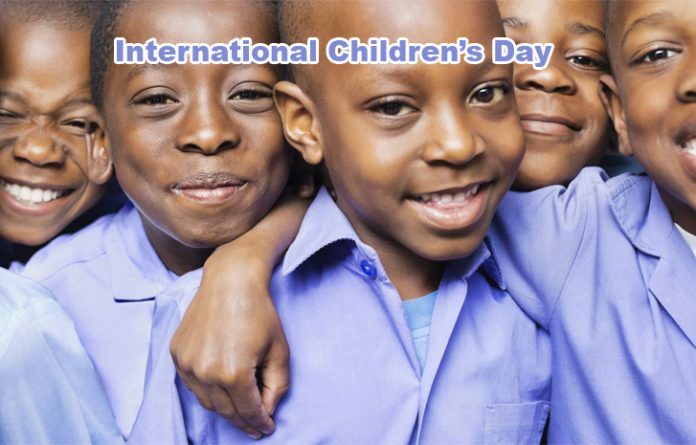 “Well, that was the largest children in the family from Nordica. They had the six children from Nordica, that’s why we chose to recognise them, they had them two times.” Dr Ajayi said. While telling her story, the visibly excited Mrs. Akiode said that accessing IVF was not so expensive for her since she was working and even training other people. Commenting, Engineer Oladipo Soetan, treasurer of FAAl, said, “We are the support group to Nordica facility. We have an association that comes to create awareness among people who are looking for babies. There are many families out there whose families are not completed, we have passed through Nordica. In view of this we came together to form an association to create awareness to the general public to know that IVF babies are normal babies. Many people run from IVF, thinking that IVF children are not normal and we are here to say that IVF babies are normal babies, very intelligent with high IQ. As parents we are spreading the gospel for people should do IVF if they have challenges with fertility.